Should you drink during pregnancy? That’s the age old question and there doesn’t seem to be a definitive answer. Many professionals advocate complete abstinence from alcoholic drinks during the nine months of pregnancy, yet some have suggested moderate amounts of alcohol are no bad thing. It’s ironic that the latest people to side with alcohol avoidance are from the drinks industry. 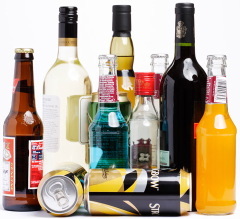 Diageo is funding a training scheme, run by National Organisation for Foetal Alcohol Syndrome (NOFAS-UK) and already in its second year, that teaches midwives to advise expectant mothers about the risks of drinking alcohol during pregnancy, the British Medical Journal reports. Yet the advice differs from that given by the British Government, which says that if mums-to-be do drink they should consume no more than 1-2 units once or twice a week. An Infant Feeding Survey conducted in 2005 found that one-third of pregnant women gave up drinking altogether during pregnancy, while 61% drank less and 4% didn’t change their drinking habits. Susan Fleisher, from NOFAS-UK, said the scheme would have have huge benefits. “The thing that’s so fantastic is that they’re helping us with prevention, we can actually prevent children being born with foetal alcohol brain damage,” she said. Yet some people are concerned that a drinks company is supporting an initiative to cut people’s alcohol consumption. “They certainly have a conflict of interest because it’s in the interest of the drinks industry for people to continue to drink and it’s in the interest of health for people to drink much less, and certainly not to drink during pregnancy or to drink really minimally,” said the British Medical Association’s Vivienne Nathanson. What do you think of the new advice on drinking during pregnancy? Are mixed messages from different organisations causing confusion? What are your own views?